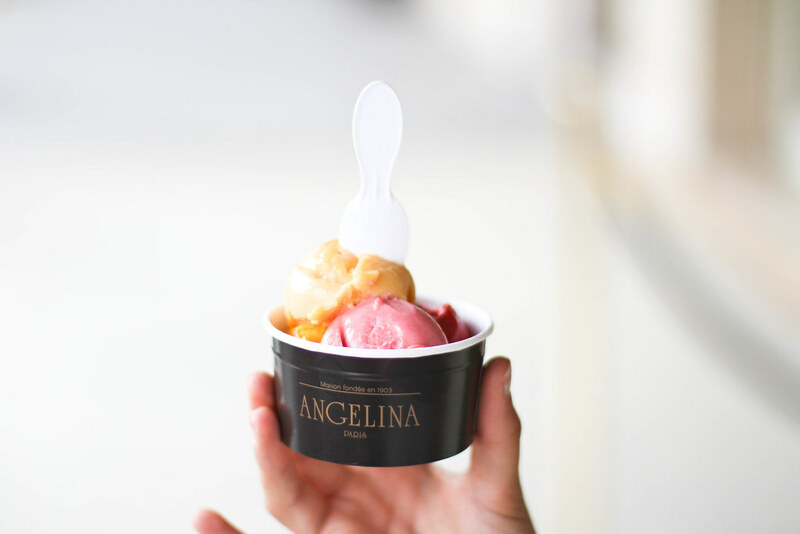 I always used to stop by Amorino for sorbet, until the day I discovered Angelina. Their extensive fruit flavours grabbed my attention and once I’d tried the pêche de vigne and abricot, well there was no going back. The flavours that took my fancy the most created a soft palette of pinks and amber in the pot, pleasing to the eyes and even more so to the taste buds. For now I’m dreaming of my upcoming holiday to Cape Verde, an island off of Africa where the beaches are endless and where I’m hoping there might be some sorbet too. Unfortunately they have shut down the Angelina tea salon in Lyon where I live. It was not located in a very nice place, in fact inside a mall, in Galeries Lafayette. Too bad !